Tone Kit with 4 12AX7's. My Engl Fireball 60 was great....until the preamp tone kit came along. 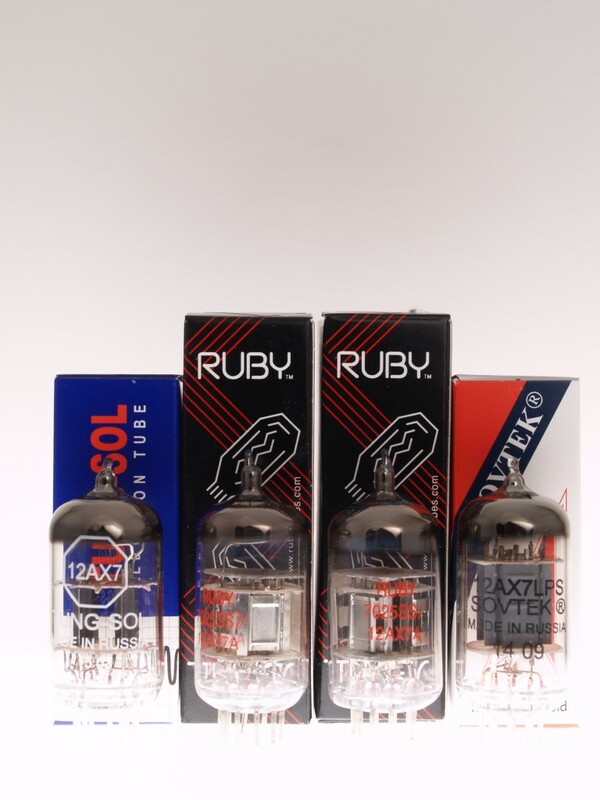 Review by Sam S.
Got the new tubes you recommended for my F30 and they work great! Thanks for the advice and the great new tubes. So I finally got a chance to put in the new "tone kit" and power tubes today... and I must admit I was pretty skeptical that there would be a noticable difference. I am glad to say I was dead wrong! The clean channel is much more vibrant and lush with a really nice "fenderish" bite and lots of clean head room. The crunch channel sounds pretty much like it did before (which is a good thing because that was the best part of this amp), and now the "ultra" channel is MUCH more articulate... less muddy and just really freeeeeeking great. You da man. Please feel free to share my testimonial for all the other Peavey Ultra owners out there. You rock!!! !